I try by all means to be objective but for Kafue i had an impression that UPND would win but i never gave any prediction about the possible outcome because I’m not privy to the political dynamics in that town. However my take on this one is that UPND must go back to the drawing board and seriously retrospect otherwise the end results maybe disastrous because these loses in its backyards is a psychological warfare which may brainwash the people and give a wrong impression in the eyes of the voters in 2021 that UPND is crumbling. The UPND must also crack a whip against party structures which are dormant and failing to deliver because it can’t be business as usual as leaving things the way they are maybe catastrophic. Further the opposition needs to design a strong campaign message which connects easily and effectively with the voters on the ground especially the young people because it is unacceptable to lose an election in the midst of economic hardships people are going through. This loss tells me a story that the opposition is disorganised and lacks a strategic plan to entice voters to vote against the ruling party because it assumes that due to economic difficulties people will automatically vote for the opposition which is a not the case,so more needs to be done to change people’s mindsets. Furthermore UPND is depending too much on one man who is HH to campaign because I’m not seeing other leaders apart from HH, GBM and Garry Nkhombo just to mention but a few being proactive like in the PF who work as a team and never leave any stone unturned besides the ruling party’s secretariat is very versatile which i cant see the same in the opposition which is core to the success of any political party. How can you have a member of parliament from UPND in Kafue lossing a council chair seat which belonged to them,this is a serious indictment on the member of parliament and i think he must account for this loss. This also clearly shows that the party structures are extremely very weak hence needing energizing seriously before 2021. 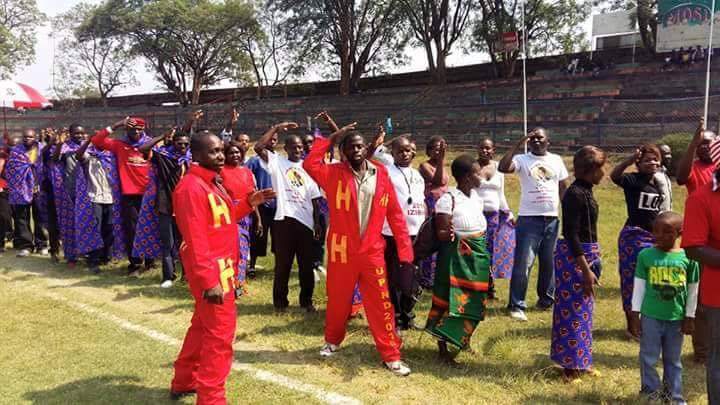 By and large not all is lost for the opposition because to be frank the only party which can defeat PF in 2021 is UPND but it must double its efforts and start re-energizing its party structures now at all levels through intra party democracy inorder to bring in new blood because some leaders are fatigued and are not helping my brother HH to claim victory. In conclusion PF is aware about the weaknesses in the opposition so it has taken advantage of poverty by spending a lot of money in their campaigns while the opposition is financially incapacitated because politics of today are materialistic by nature and without money and with the impression people have that politicians disappears once voted into office voters equally want to eat first before giving you a vote. So it is a very tricky situation for the opposition and if it does not find strong financial backers and come up with an ambitious campaign strategic plan before the 2021 general elections,beating the ruling party maybe be a tall order taking into account that PF will be in power for only 10 years but a word of caution to the ruling party is that these by elections victories may just be cosmetic or window dressing but the real battle at the “Great fish river”shall be fought in 2021 taking into account the coming on board of economically vulnerable young people who will be looking for a messiah and be voting for the first time.